The AAE offers a variety of clinical resources including publications, guidelines, position statements and treatment planning resources reflecting the latest research, techniques and technologies in endodontics. Whether an endodontist, general dentist or dental student, these tools are valuable references to support the highest standards of patient care. A collection of resources designed to help educate patients about the safety of root canal treatment. Popular clinical publications developed and regularly updated by the AAE to reflect advancements in the specialty. Outlines the current best practices in endodontic diagnosis and treatment. Defines more than 600 endodontic terms including AAE-ABE consensus terminology and updates to cracked tooth-related nomenclature. Based on the highest levels of evidence and the latest endodontic research and technologies, these resources help end-dentists provide the best care and educate their patients and referring partners. 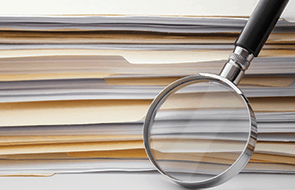 Important documents that reflect the latest science and research in the specialty. Guidelines in endodontic diagnosis and treatment for all practitioners. Resources to aid in diagnosing and treatment planning in difficult cases. Understand how CBCT can be used in endodontic diagnosis and treatment. Learn more about this innovative development in vital pulp therapy.